Registration is now open for the event that raises funds to support UNO student-athletes through scholarships and program enhancements. 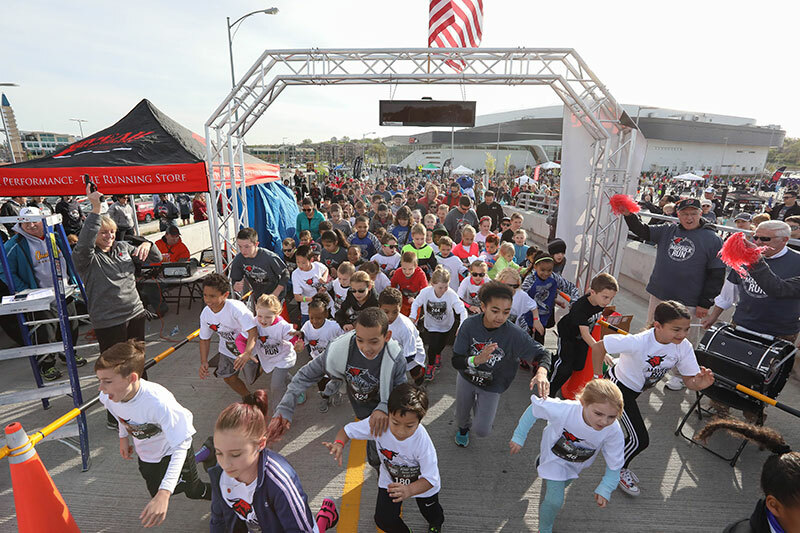 Registration is now open for the 2019 Claussen-Leahy Maverick Run, taking place Saturday, April 20 at Baxter Arena. Please be advised of campus road restrictions caused by this event. Starting time is 9 A.M. Support the Omaha Athletic Department by running or walking in either the 10K, 5K events. Both the Stampede 10K and Claussen 5K runs will be chip-timed, and winners will be based on the participant’s official race time. Medals will be awarded to the top three finishers in each age category. Course maps will be sent out to all participants and posted online in February 2019. Runners must be pre-registered or may register day of the event. Runners that pre-register will be guaranteed a t-shirt, timing chip and bib. Race starting time is 8:30 A.M.
Race will be 800-meters, which is approximately one-half mile, with the starting line on 67th Street adjacent to Baxter Arena. Children from 5 to 12 years of age are welcome to participate in the Kids' Race and Activities. UNO student-athletes will assist with after race activities inside the Baxter Arena. 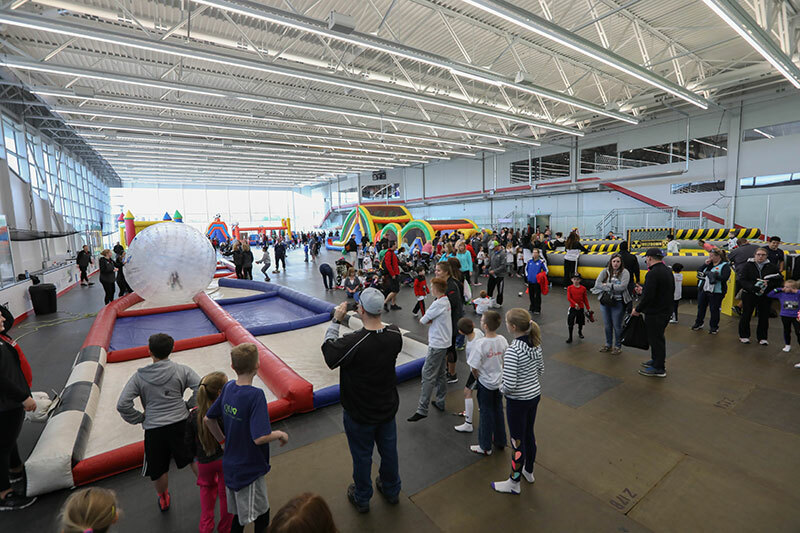 In conjunction with the Kids’ Race, UNO will host a variety of kids' activities inside Baxter Arena. The activities will begin at approximately 9 A.M. The activities will be hosted by various UNO teams, and kids will interact with Maverick student-athletes. Participation is free to children who have registered for the Kids’ Race. Children who have not pre-registered for the Kids' Race may do so at the registration table the day of the event, but will not be guaranteed a t-shirt. The event will be held rain or shine inside the Baxter Arena. Activities will include but are not limited to inflatable obstacle courses, slam-dunk, batting cage, and many interactive inflatables. *All kids and their parent or guardians must be wrist-banded for security purposes for after race activities. 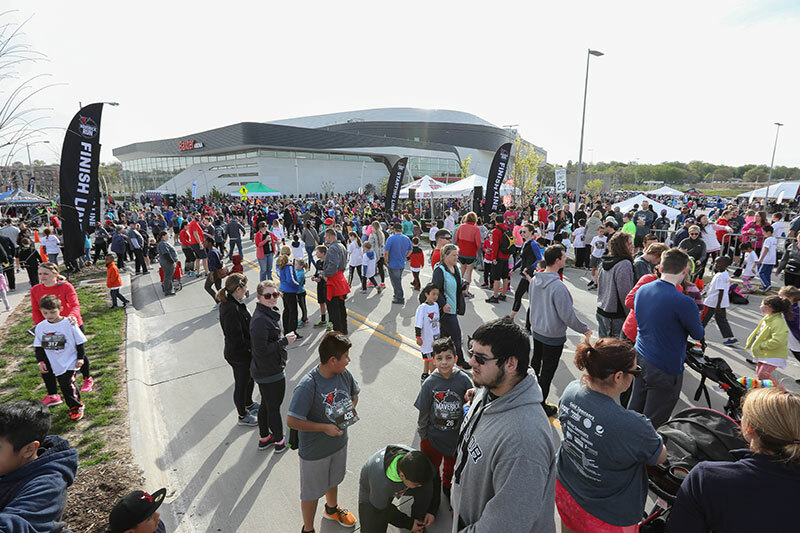 Kids may obtain a wrist band day of race located inside Baxter Arena. Did you know that 80% of blindness is curable? Give Sight Global is teaming up with the Claussen-Leahy Maverick Run on to pursue this shared vision of a seeing world. Give Sight Global is a worldwide community of people who seek to make a real, tangible difference in the lives of others. As a nonprofit organization, they bring life-changing cataract surgery to cure blindness in underserved areas of the world.